Lurking in the back streets by Victoria Coach Station in 1961 and by then owned by a contractor is former Lancashire United Transport No.116, CTF 425, a Leyland TS8 of 1938 fitted with Roe DP30F bodywork. It was withdrawn by LUT in 1957. 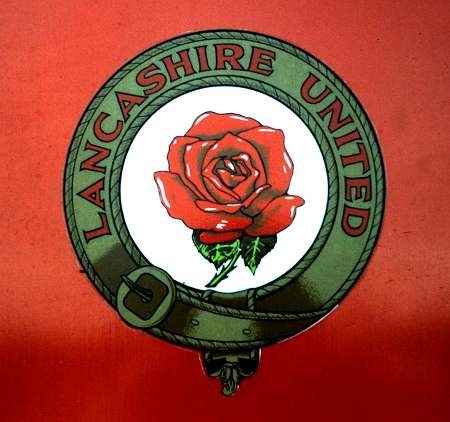 Lancashire United became a confirmed Leyland customer from the mid 1920s, though it dabbled in the thirties with some Dennis types, and built up a substantial fleet of TS7 and TS8 Tigers and TD Titans. It even managed to obtain examples of the relatively rare Tiger TS11 model during 1940. 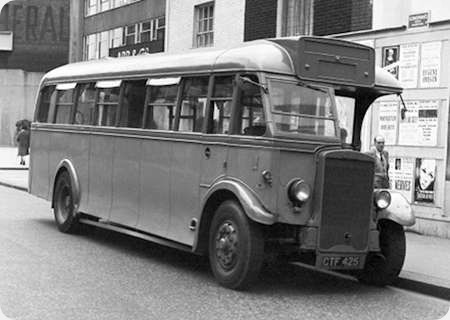 The LUT TS Tiger fleet was withdrawn during the 1950s, but three of the 1938 TS8s, CTF 434/5/8, originally fitted with Roe B32F coachwork, were refurbished in 1953 and equipped with full fronted Plaxton FC35F bodies. They lasted until 1960. Three further TS8s from 1939 were also rebodied by Plaxton in the same way as CTF 434/5/8. These were DTF 266/9/70. I was involved in a failed attempt to preserve DTF 269, the body of which was eventually lost to a fire. After being a Leyland devotee before the war LUT pretty well forsook the make in the postwar era and became mainly wedded to Gardner engined products. Guy was the staple manufacturer for double deckers but they also had some late model Arab coaches and single deck buses from Atkinson. They were unusual for a Lancashire based operator in having no PD2’s and had only one batch of PD3’s bought at a time when Guy was having financial difficulties and the Arab was withdrawn from the market for a time. There were small batches of Daimlers but when Guy got back on its feet after the Daimler take-over they quickly returned to the Arab and even tried a solitary Guy Wulfrunian. Opo and Bus Grants spelled the end of the front engined bus and LUT ended its independent days buying the Daimler Fleetline. Similar vehicle CTF 423 is preserved in the care of the Aire Valley Transport group I was lucky enough to have a ride on it a few years ago It gave a very spirited performance and was a pleasure to sample. 534 RTB is a Guy Arab IV from the Lancashire United fleet, once considered by many to be the biggest of the Independents. Regular contributor to this site Neville Mercer, among others, disagrees. It has a Metropolitan Cammell body, to the H73R layout, and was new in 1961. We see it at Duxford on 29 September 1996. Tis second view being of a close-up of the LUT Crest. Among my milder teenage dislikes were tin fronts, Orion bodies and (almost) all-over red liveries, but none of these three features detracts from the magnificence of this vehicle. The matchless reliability of this model and its sound-effects obviously also play a big part in its appeal. Sincere thanks to all that preserve and maintain Guy Arabs! Thanks, Ian. The LUT fleet was something of an oddity in that the indicator layout – in the days I paid any attention to the fleet – was similar to Manchester’s while the livery was more or less in the style of London Transport: red and cream then, when LT went to red and a grey stripe, so did LUT. Finding that this has a MCCW body came as a bit of a surprise, too, because almost all the vehicles I’ve ever seen from their fleet (I know, someone’s going to correct me!) had Northern Counties bodies. Pete you are right, the majority of LUT’s Guy Arabs had Northern Counties bodies, both rear and forward entrance. I understand the copy Manchester destination arrangement was the result of a senior manager joining LUT from Manchester sometime in the 1950’s. The same gentleman brought preselect Daimlers into the fleet at the same time. The ‘squared off’ type of font was also used on the destination blinds just the same as Manchester. I always thought LUT was a ‘quality’ operation and although an independent had all the features of a big group company. Many of its routes were lengthy trunk services across what was then South Lancashire. Another operator sadly missed. Is this the same vehicle that was parked up in a garden at Greenodd, near Ulverston, Cumbria for quite while in the 1980s? Thanks Pete for posting this photograph. 43 was one of three of this batch allocated to Swinton Depot in the early 70’s (of the batch of ten) I have always thought that LUT gave this body order to MCW as a means of keeping NCME’s prices keen, as LUT were making yearly purchases of Arabs. They were quite a problem to Guard on the heavier turns due to their total lack of handrails between the seat backs and the ceiling on both decks, when all NCME bodied Guys did have them. Later, when I became a Driver, I found them to be pretty much the same as all the other rear loading Guys, but by then, 43, 44 & 45 were on the part day only list, so were generally to be seen in Trafford Park on work services or peak hour duplicates, as their missing handrails proving unpopular at Swinton. Another of the batch at Atherton, 40 was involved in a pretty bad accident mid sixties and was rebodied by NCME as a front loader. The unofficial notice in the cab read – dwarfs only! – as being an Arab Mk IV with a Mk V.
Style of body severely reduced head height in the cab! Thanks for your comments, Mike. As with any others of my photos on this site, if you’d like him to e-mail you a copy for your own records, our Editor has my permission to do so. I remember LUT single deckers running into Radcliffe Bus Station on the 25 service, I think it was. They were mostly Bristol REs with a few Seddons, some had Alexander bodywork with dual doors and all were in the red/grey colour scheme by that time (early 70s). As a follow-on the Peter D’s comments, Who vied with LUT as being considered the largest independent bus company at that time? Chris, I’d have said Barton or West Riding. Please note that Neville discounts West Riding as well, and for the same reasons: not owned by a family local to the area of operations (eg Fishwick) and with most directors based in London. On Neville’s reasoning, it’s Barton. I had always heard that Barton was second to LUT, but logically, I would suggest that "independent" had nothing to do with where the owners lived, but whether control was separate from the large groups – e.g. THC, BET. Obviously there was a large element of government control in these groups (and local government in municipal operators), but in today’s scenario I would also exclude the major groups like First, Stagecoach etc. as independents, even though they are free of government control. You are correct about the 25 service to Radcliffe. The 25 and the 13 service to Whitefield were worked by Swinton depots RE,s in the main, both the Plaxton and the Alexander bodied Bristols were always first choice for these routes ( and the 11 and 17 too) their easy steering (in pre power steering made them so) they were just that little bit more nimble on the estate work around Harper Green. I enjoyed these routes as the stretch beyond Ringley was usually quiet and relatively scenic within the bounds of what scenery there was to see in South Lancashire ! Don’t get me wrong, I loved our Seddon RU,s but an RE was the master of these routes. Do I read this correctly, Mike? Someone claims to have LOVED the Seddon RU. I knew I shouldn’t have gone to that firm of opticians!!!!! It’s almost like one of the Hamble locals admitting to have watched ‘Howards Way’. Someone has not been keeping up with LUT and their Seddon RU,s! Very definitely a great tool for us for on the hardest, longest, busiest one man route the 84. So highly considered that if one became faulty, the union had an understanding with management that if no other RU was available, a maximum of one round trip only was worked before another RU was found. Swinton depots were highly prized if you got one on any other route, great seat, great driving position, strong engine and good brakes. LUT, were different from most others, with front radiator and full length cardan drive shaft hence their 31 foot six length. If you find a rear view, you will see the body extension. My particular favourite was 339, I would shunt others to gat that one out in the mornings! Yes there is lots in print, especially the Crosville ones, but ours were great. Well, as they say, one lives and learns!!! Thanks, Mike. Unfamiliar with all the variants on the Orion theme, I don’t know whether this example was significantly lighter than the NCME bodies and therefore chosen to help fuel consumption, as well as for the interesting reason Mike Norris gave: reminding NCME that they weren’t the only fish in the sea! If the bodies were indeed true lightweights, the buses must have returned nearly 13 mpg. Presumably this bus had the 6LX engine. The 6LW Dennis Lolines of Aldershot & District gave a fleet average of 13.5 mpg, and could turn in almost 16 mpg on the long rural runs, but A&D maintenance was of a very high standard. On the subject of the Orion body and its derivatives, I agree with Ian T – they’re horrible. The straight inward taper of the body sides gave the result a pin headed appearance exacerbated by the deep lower deck/shallow upper deck windows, and the crudity of the front/rear domes. The best examples by far were (again) the Aldershot & District examples which benefited from the lower build and the equal depth of the windows on both decks, and, unlike many (most?) Orions, the interior was equipped to a high standard. Nevertheless, MCW had earned a good reputation over the years for its metal bodywork framing, so presumably the Orion held together reasonably well in service. You raise an interesting point, Roger, with your comments. After Alder Valley was formed, from two opposite sides of the fence, one of which always ploughed its own furrow, which of the two management and maintenance regimes dominated? Chris, when Alder Valley was cobbled together by NBC in 1972, control and ‘management’ was concentrated at Reading. Thus, the worst and scruffiest of the Tilling operators, Thames Valley, subsumed the best of the BET companies, Aldershot & District. Standards didn’t just go downhill, they fell over a cliff. Mercifully, I moved away from Farnborough in 1975, and wasn’t present to witness the continued degeneration in the local public transport scene. This was the third and last order for Orion bodies by LUT. In 1955 Cyril Charles Oakham took over as General Manager. Coming from Manchester Corporation where he had been Chief Engineer, he was to make a number of changes, the first of which to order 24 Daimler CVG5s which arrived in 1956 with 61 seat Orion bodies. Obviously Oakham did not share his former boss’s antipathy to the Orion. These appeared in a revised livery of all over red apart from a single cream band above the lower deck windows, as was soon to appear at MCTD, and with the Manchester style number, via and destination box layout. His next change was to order PD3/4s and Daimler CSG6/30s as trolleybus replacements, the former with Orion, the latter with NCME bodies. The last Leyland, 657, was the highest fleet number used by LUT as the system started again at 1 with the first of six Plaxton bodied Reliances. The batch illustrated by the example above gave LUT a rare distinction of operating Orion bodies on chassis from three of the then major manufacturers. In between times, and thereafter, NCME continued to be favoured with orders for bodies and Guy predominated with Daimler later picking up some Fleetline orders which, had the Wulfrunian lived up to its billing, would not have been built. Why did Leyland, Daimler and MCW win the front engined vehicle orders from LUT? 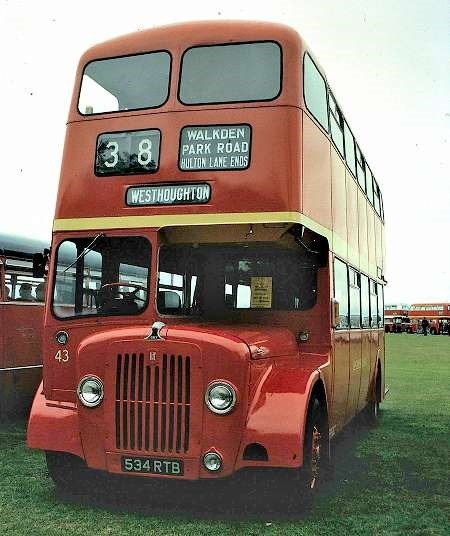 The evidence is that initially Oakham wanted a second string supplier for double decker chassis a la Manchester and NCME’s tenders were not always the most competitive. The LUT Arab at Greenodd was 166 I believe, it was painted as a Laurel and Hardy Museum bus and is stored at St Helens Transport Museum presently. I’m going to leave a rebuttal to Roger Cox’s evaluation of ‘Avashot and Riskit versus Thames Valley. Most of my 25 years were spent in the coach side of things where the general focus was on the passenger and the experience they had. Viewed from that angle, but not suggesting for a moment that there weren’t good and bad in all companies, I’d far rather have tried to do business in High Wycombe booking office in the 70s than in Aldershot. Those companies that tried to develop their services would project a far more user friendly attitude than would the stick in the mud ‘buses only’ type. Who would compare Western National with A&D, or Midland Red with Maidstone & District as ‘quality’ companies, and where would we be more likely to hear ‘This job would be all right if it wasn’t for the public.’? I started life with another of the ‘glamour’ companies, Southdown, but even there I once took a service over mid-route and heard an old lady say ‘Oh good. We’ve got the cheerful one.’ which doesn’t say much for my colleagues of the time. Within ‘our’ industry we can, and do, wax lyrical about the internal aspects of what we do, but it’s the paying passenger who makes it all possible. My in-laws, from Woking, always called A&D "All aboard and Riskit!" I’m not sure whether people at the pointy end, conductors and later/now drivers, were ever told to project a friendly manner towards their passengers, although I do recall helpfulness towards the frailer members of society and children, like helping them up and down from high rear platforms. I certainly (as a near 80-year-old) don’t recall smiles and banter as being the norm in those days. Strangely, the current habit of thanking the driver, from descending passengers, seems to have become a pleasant habit(at least in Gloucestershire) and has led to some sort of driver/passenger rapport. Is this habit only local or more general elsewhere? I’d never heard that variation for A&D, Chris, but the awarding of usually derisory nicknames seemed to reflect their public image, hence my defence of Thames Valley. One never heard nicknames for East Kent or Southdown – but Maidstone & District, in the middle, was always ‘Mud ‘n’ Dust’ or ‘Muddle ‘n’ Dawdle’. ‘Pants & Corsets’ for H&D was widespread and even ‘Nine Elms’ for Lincolnshire Road Car, based on the similarity of their livery with the paint company. Indeed, promotion within NBC (No Bugger Cares) followed distinct patterns and a move to one of the bigger names like United Auto, Bristol Omnibus, Crosville etc was, in itself, regarded as a promotion whereas Lincs Road Car had a reputation as being the NBC equivalent of the ‘naughty step’. Certainly in rural areas, the closing of the Dormy Sheds was the thin end of a very nasty wedge. In belated reply to Roger Cox, LUT’s Arabs did not have 6LX engines. One did (no.27), but it was found that the Guy clutch didn’t like the 6LX torque, and the necessary modifications made the bus very difficult to drive. One could be charitable, Chris, and blame the change on a nostalgic wish? MTJ 84 was originally Lancashire United 440. It is a 1951 Guy Arab III with Roe C35F body. 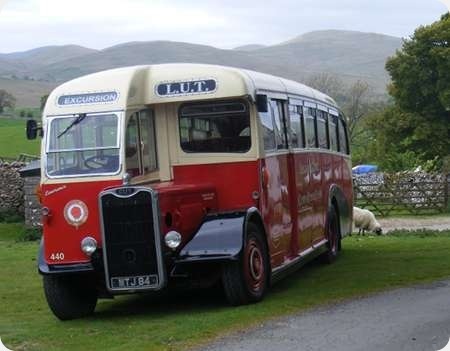 It is owned nowadays by Cumbria Classic Coaches, and is regularly used for private hire work especially weddings. It is seen here at Bowber Head, near Kirkby Stephen, just outside the Cumbria Classic Coaches Depot. Another example of a somewhat anachronistic purchase by a major operator. By 1951 the underfloor engined single decker was becoming well established especially for coaches where being up to date with ‘fashion’ was more important than for buses. No doubt these were robust and reliable vehicles but very soon after purchase they would be perceived by the travelling public as very old fashioned. They did have long service lives however and spent a lot of their time on the long Tyne-Tees-Mersey service which in pre-motorway days must have been an arduous trek. I can confirm the arduousness of the X97 in pre motorway days. We were regular travellers in the early sixties from Newcastle to Lymm Church, usually in summer. The usual trip was the 8.30 am departure from Newcastle Haymarket which from memory got to Lymm around teatime. We started queuing about an hour before the scheduled departure time in order to get on the first coach. This was usually a Northern Willowbrook bodied Tiger Cub or Reliance, or one of North Western’s black tops Reliances. They looked impressive but were basically 43 seat buses with detachable headrests on the seats. The only bit of dual carriageway in the early days was on the A1 south of Catterick. Being a bus nut, I grabbed the front seat armed with my British Bus Fleets volumes much to the amusement of the crews. One early lessons we learnt was never do the northbound journey on a summer Saturday. We did it once on a miserable wet day. LUT Guy Arab bus to Manchester, then on to a hired Yeates bodied Bedford to Leeds, then another change to get home. The livery shown here is very bus-like, the original livery with "brightwork" was much more coach like. LUT bucked the trend with its coach purchases. The first underfloor engined coaches were very sturdy looking centre entrance Roe bodied Guys which arrived in the black & red livery with brightwork (which was soon changed). The next deliveries included Weymann DP Guys and Roe DPs on Atkinson Alpha chassis. (The Atkinsons technically belonged to South Lancashire Tramways.) Add to these Duple Donnington and NCME bodied Tiger Cubs, Burlingham & Plaxton Derwent AEC Reliances, so waiting for an LUT coach in the 60s was most interesting! Richard, I can’t comment on the Northern Willowbrook bodied vehicles’ seats but the North Western bodied Reliances’ headrests were part of the moulded seat frame and were not detachable. Phil, I recall the high backed moulded seats, and I’m sure they had detachable headrests added. From memory they were white, but we’re talking 50 years ago and my memory could well be defective. I wish I’d paid more attention in their day to a number of underfloor single-deckers that are now rarities. Sentinels, Atkinson Alphas, Dennis UFs and Seddons and others come to mind, but at the time I found them a bit unappealing in comparison with halfcabs like this magnificent Roe-bodied Guy and the equally superb Leyland PS1 in the next posting. Underfloors obviously met an operational need, making OPO possible and fitting in an extra 4 seats, but they kept the fitters busy. Not wishing to throw a spanner in the works, a study of the "black top AECs" photos in "North Western" volume 2 by Eric Ogden makes interesting viewing. Page 54, 720-39, Reliance/Weymann, slightly higher backed seats, no head restraint. Page 56, 746-60, Reliance/Willowbrook, slightly better moulded seats, no head restraint. Page 59, 797-811, Reliance/Willowbrook, 804 clearly has white head restraints 797 head restraints, not good photo, but maybe not white or just dirty. Page 63, 852-871, Reliance/Willowbrook, 864 moulded seats, no head restraints 862 white detachable head restraints retro fitted. This should clarify the issue! Thanks Andrew, I have that book and maybe I should have dug it out. Richard’s recollection of the timings for his travels on the Newcastle-upon-Tyne to Lymm ‘Tyne-Tees-Mersey’ service are quite right. The Summer 1951 timetable shows an 0830 departure from Haymarket and the arrival in Lymm would be 1616. The Winter 1969/1970 timetable shows the departure at 0840 arriving 1618. David, thanks for confirming that my memory isn’t that faulty, it’s reassuring. I last used the X97 around 1968 and I can’t recall ever using the M62. My last trip from Lymm was in a Northern F registered Leopard with, I think, a Willowbrook bus body. It had very comfortable coach seating so a smooth journey was ensured. We used the night service once. This ran via Irlam and Eccles. It was a Yorkshire Woollen car, a DP Reliance, which got into Newcastle ridiculously early because it ran non stop from Leeds. This was quite a common event when the service car was filled with passengers for Newcastle.